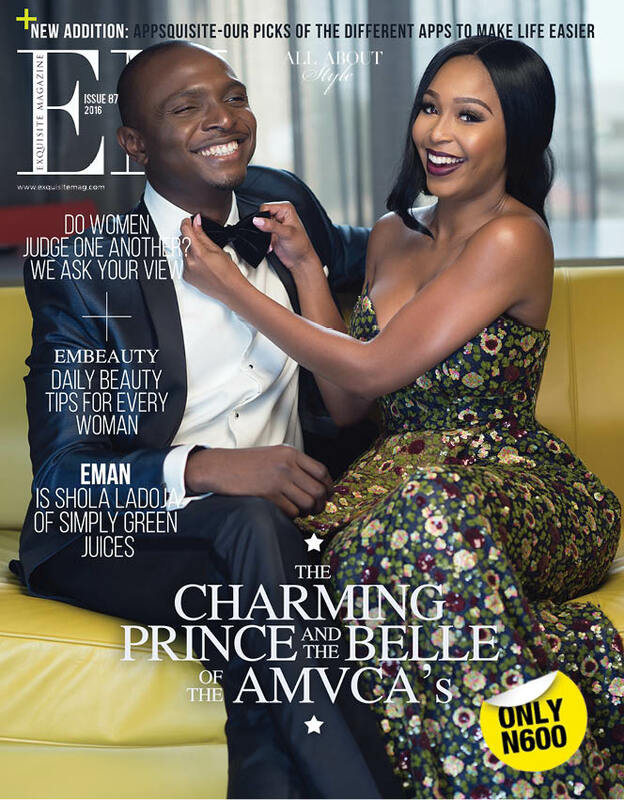 The exquisite magazine issue 87 is out; starring the hosts we call the Charming prince and belle of the recently held AMVCAs. It shares insights on the feelings of being hosts especially for MINNIE who is a first timer in Nigeria. This issue also trills you to an amazing question of women being a judge of one other, catch the responses of what some women had to share. Our EMan features Shola Ladoja of Simply Green juices and his life as a farmer. To the App lovers, there’s something new and its absolutely appsquisite : this issue uncovers apps that makes life easier.